"This marriage of sounds, words and images is ultimately breathtaking, a testament not simply to the hipness of jazz but to the uplifting and sustaining powers of art." "The Thompson Fields breaks that spell with an extravagant show of her strengths: precise, expressive harmony; ribbons of diaphanous texture; a rhythmic momentum that doesn’t feel propulsive so much as wind-borne. Her new pieces, inspired by various ecological and personal epiphanies, stands alongside the best of her previous work, which is saying something." The Thompson Fields: "Beyond the searching solos and high virtuosity both on and off the paper, it’s the love poured into The Thompson Fields that flows back out of the speakers and makes it such an unusually moving work of art. It captures Schneider ’s artistic vision unlike anything else in her catalogue." 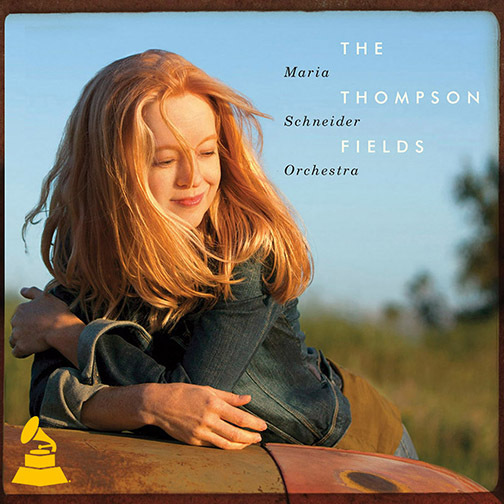 The Thompson Fields ***** "Beyond categorization….simply sublime...You don’t listen to CDs from the Maria Schneider [Orchestra]. You “experience” them."